Developer boards now allow end users to realise complex circuits in the smallest of spaces, but Itaca Innovations is taking space-saving to the next level with the uChip, which is just 28.5 x 10.6 mm. The Arduino Zero compatible board is no bigger than a large coin and is currently being funded on crowdfunding website Kickstarter. ITACA estimates to ship the uChip from June this year for early-bird backers. The uChip weighs just 2.5 g with its headers and 1.6 g without. However, it is equipped with 32 kB RAM and a 32-bit Cortex MSAMD21 chip that runs at 48 MHz, which makes the uChip compatible with the Arduino Zero according to Itaca Innovations. The board has 256 kB flash storage too, which is eight times more than the Arduino Uno has, the chip against which Itaca is positioning the uChip. 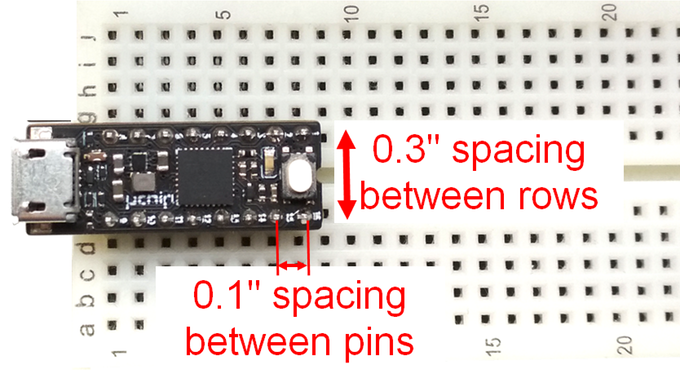 The uChip can be powered by USB or with a 3.3 V to 5 V external source, while Itaca has specifically designed the board to match the centre gap reserved for narrow-body dual in-line pin (DIP) packages. 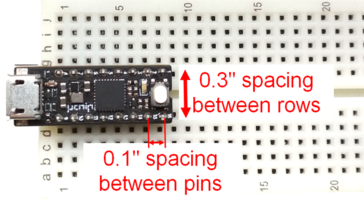 The latter allows the uChip to take up less space on breadboards and gives developers more space for additional connections. 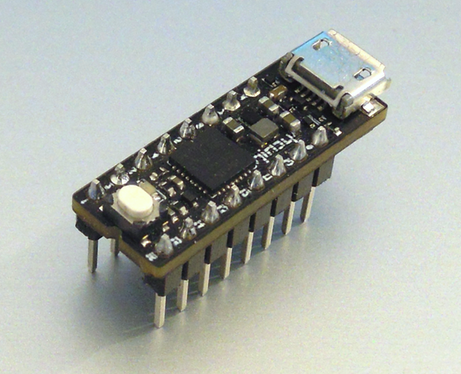 Overall, there are 14 I/O pins, two of which can connect to an external serial wire debug (SWD) programmer and 13 pulse-width modulation (PWM) pins. The uChip also has eight 12-Bit-analogue to digital converter (ADC) inputs and a 10-Bit digital to analogue converter (DAC) output. The uChip is programmable in C, C++, asm or python too. Please see the Kickstarter for more information about the board, where you can also pledge €20 (~US$22.45/£17.15) for one uChip or €136 (~US$152.67/£116.61) for ten boards. Itaca states that it plans to deliver the uChip in October this year, but it is also currently offering an early-bird to receive the uChip in June, which costs €24 (~US$26.94/£20.58) for one board.